We are excited to announce the arrival of our newest collection, "Hello Baby, It's a Boy!" 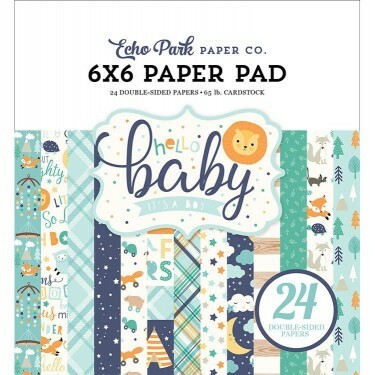 Filled with sweet baby animals, beautiful baby sentiments, and the sweetest baby designs, this collection is sure to be a staple for documenting all the special new moments with baby. From basinets to bunnies and from deer to diapers, we've thought of everything you'll need to record baby's first year and beyond! Snuggle up with our new collection and create another masterpiece!